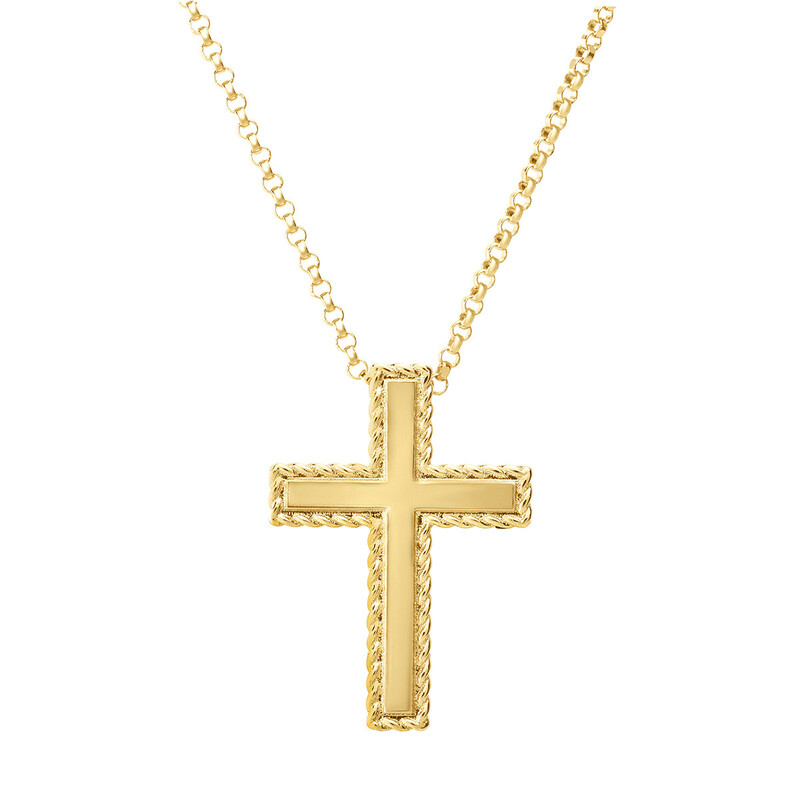 "New Barocco" cross pendant in polished and delicately braided 18k yellow gold. 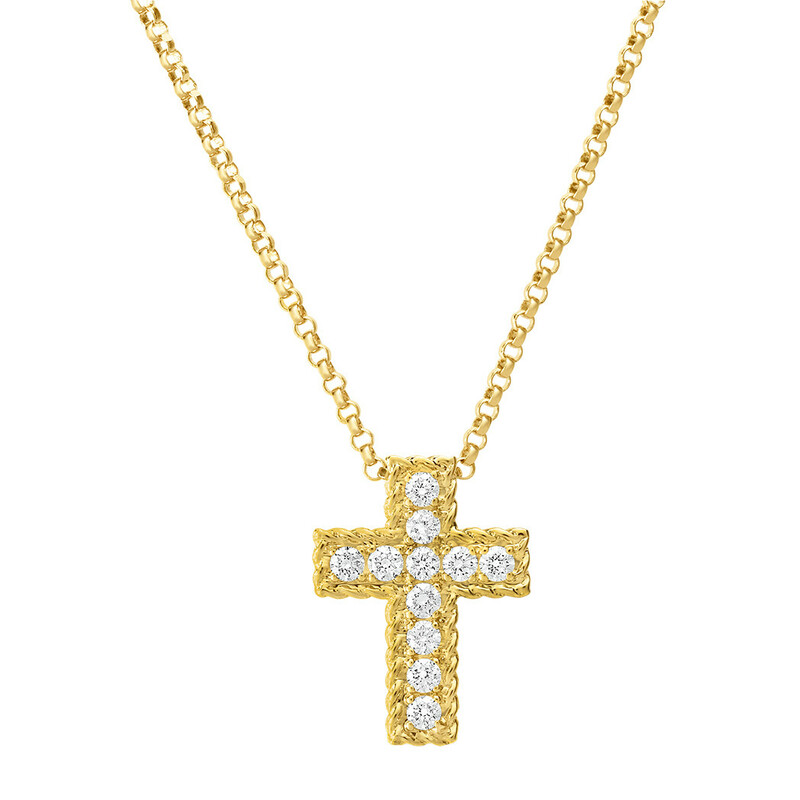 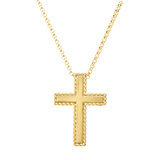 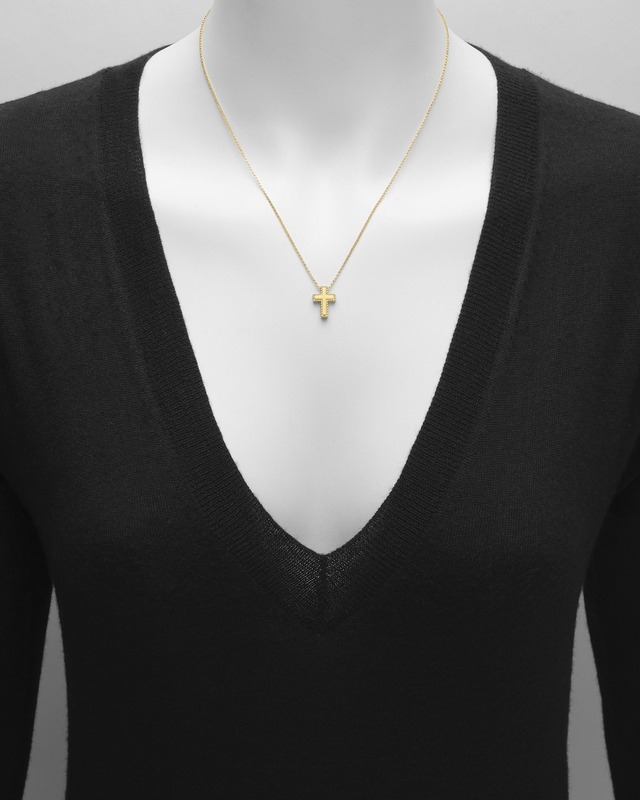 Cross pendant suspended from an 18" chain necklace in 18k yellow gold. 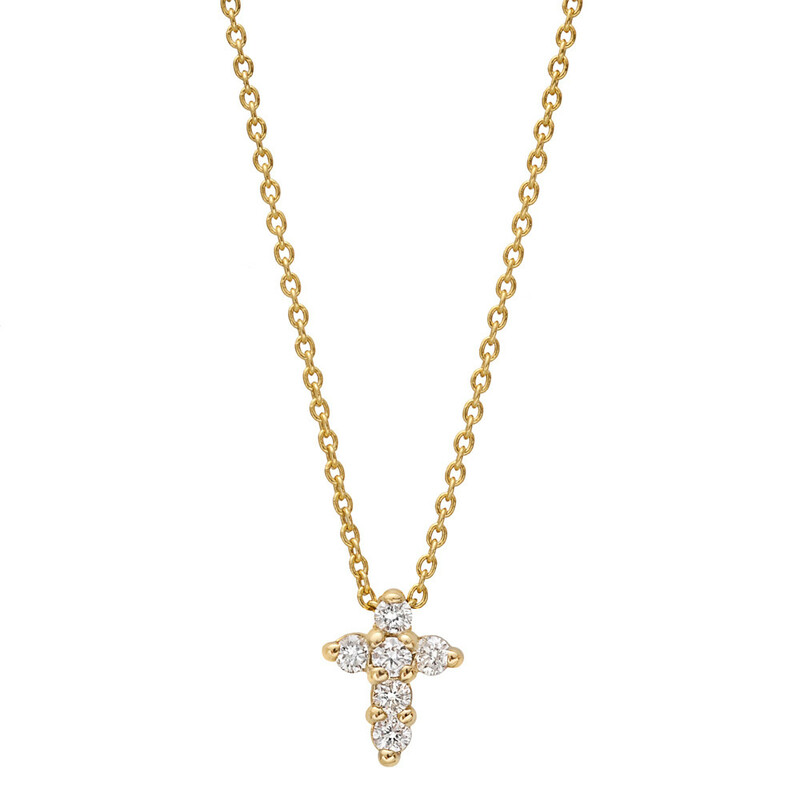 Detailed with the signature Roberto Coin ruby hidden in back. 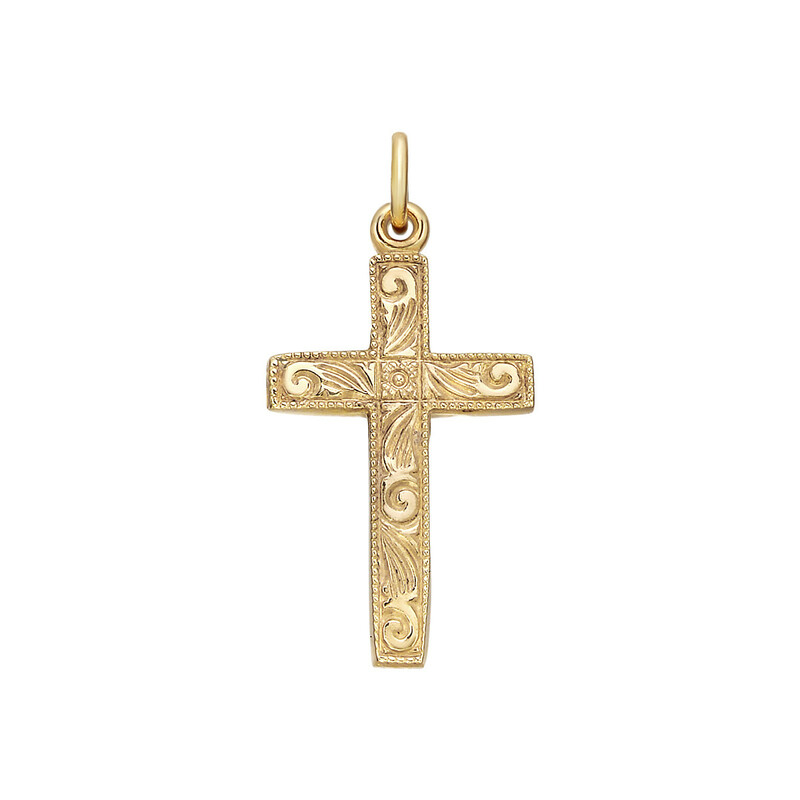 Pendant dimensions: 0.55" x 0.40".